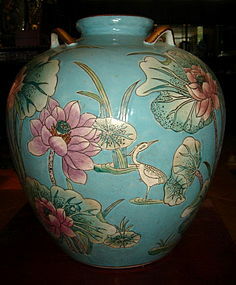 Very attractive large Chinese Turquoise Porcelain Vase with lotus flowers and a crane. Gold rim and handles. Top condition. Size: H. 14" x W. 14.5"